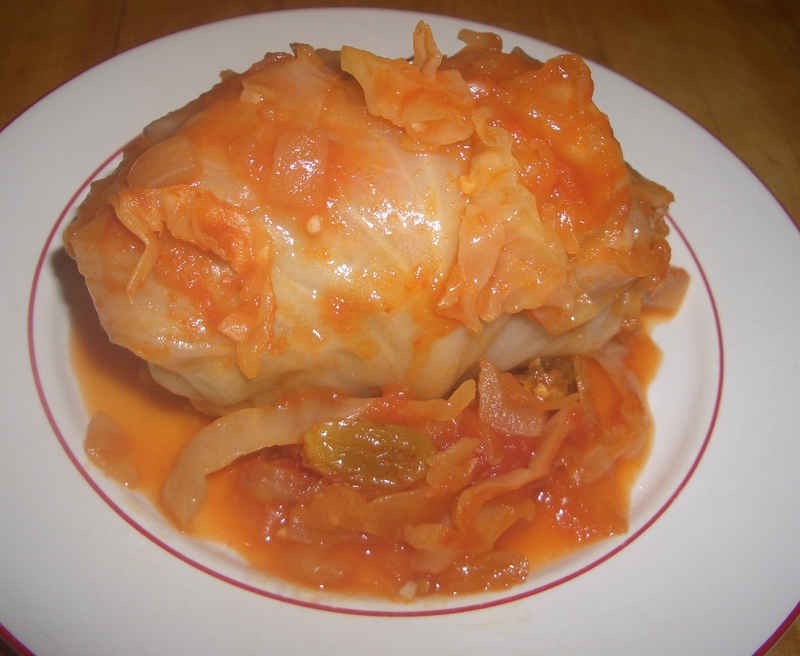 My grandmother made the world’s best stuffed cabbage. 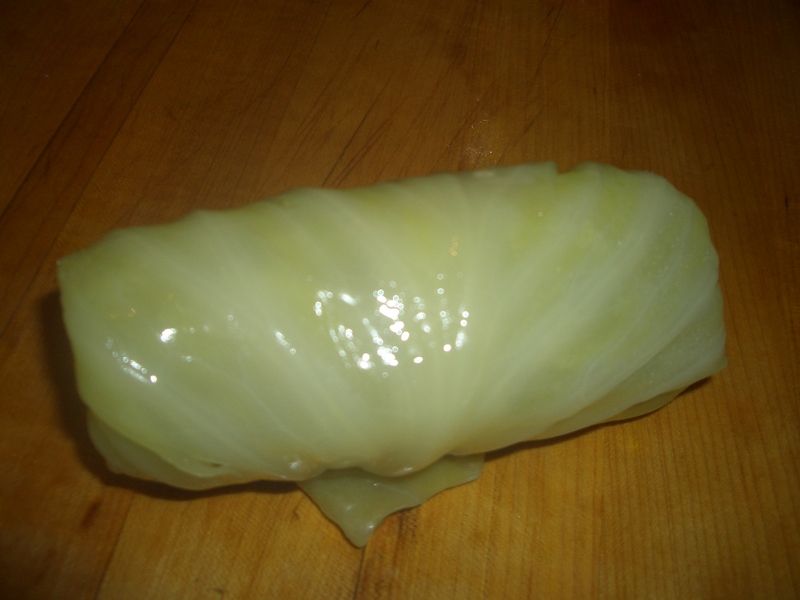 I have the recipe and have made it occasionally but it’s such a pain to make the cabbage rolls that it’s enough to discourage all but the most determined cook – and frankly I’m rarely that determined. Here is where my sister comes in. She is a natural out-of-the-box thinker and she created unstuffed cabbage. 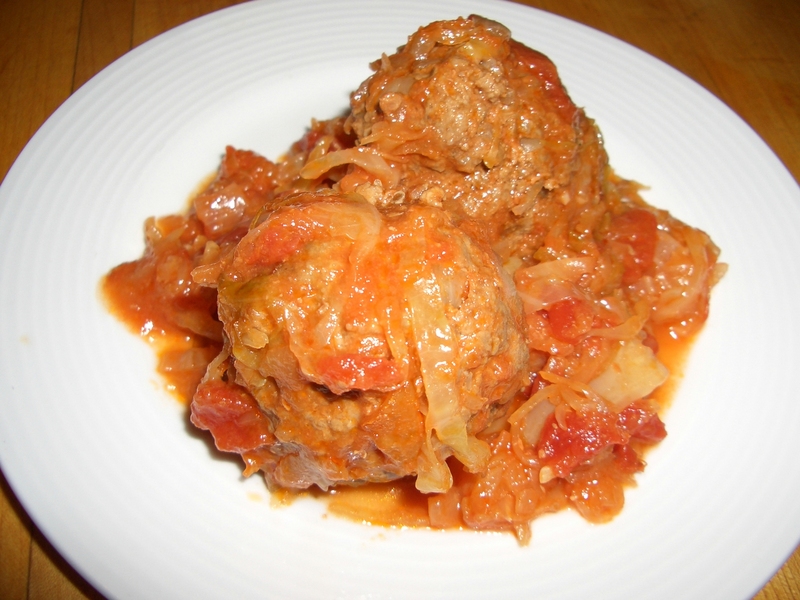 You make the meatballs and just cook them in the same sauce as the stuffed cabbage, but add lots of shredded cabbage. YUM and easy! The challenge of converting this recipe to paleo was the meatballs because grandma always put rice in with the meat and since I don’t eat rice, I needed something the give the meatballs more interest and keep them from becoming too dry. After many tries I finally came up with this recipe that I just love. First I added pork to the beef to add moisture (grandma definitely did not use pork as she was kosher). Then I added the cauliflower and potato flakes to capture the moisture and make the meat fluffier. Onion and garlic – well I don’t have to tell you what onion and garlic do. A little tomato sauce also adds to both texture and flavor. I am so happy with the results I have to restrain myself from going back not just for seconds, but also for third and fourth servings. BTW I freeze these in individual servings and when I need a quick dinner just pop one in the microwave. Hope you love this as much as I do.